In case you missed it, there are two big e-liquid sales going on right now. So whether you're looking to stock up on our favorite vaping flavors, or interested in trying some brand new ones, this is the perfect time to do so! • Halo Cigs - Get 20% off all e-liquid during their week-long Labor Day sale. 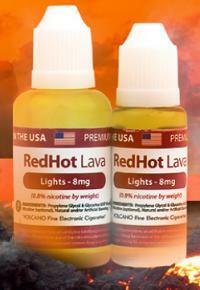 • Volcanoecigs - 30% off the popular Red Hot Lava flavor. Btw, this particular sale ends in just three days. Both of these companies offer great-tasting e-liquid. We've enjoyed it ourselves, over and over again. No doubt, you'll enjoy it as well, especially with this kind of savings. Attention vapers! 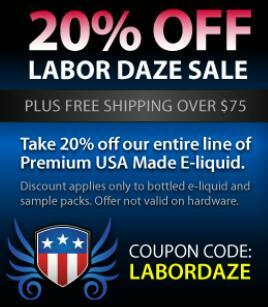 Halo Cigs is having a week long e-liquid sale in celebration of Labor Day. Get 20% off their full line of premium e-liquid flavors, as well as FREE Priority Shipping on all orders over $75! 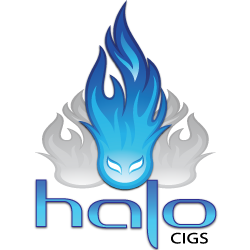 Halo's got some of the tastiest e-liquid going, and at 20% off, this is the perfect time to stock up of your favorite vaping flavors, or try some new ones! 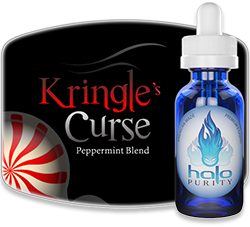 So be sure to check out Halo's full line of e-liquid, which includes tobacco flavors, menthol flavors, gourmet flavors and sampler packs. 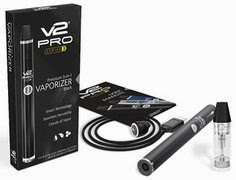 Quick note: V2 Cigs is having a starter kit sale. 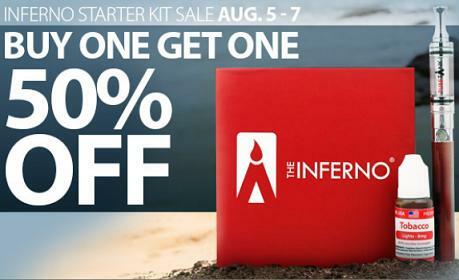 Get a V2 Standard Kit or the new V2 Beginners Kit at 20% off. The sale ends at midnight, so don't delay! 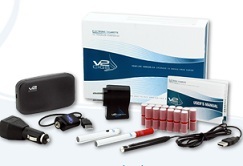 So head on over to the V2 Cigs website and get your vaping savings. The 20% discount will be automatically applied at checkout. 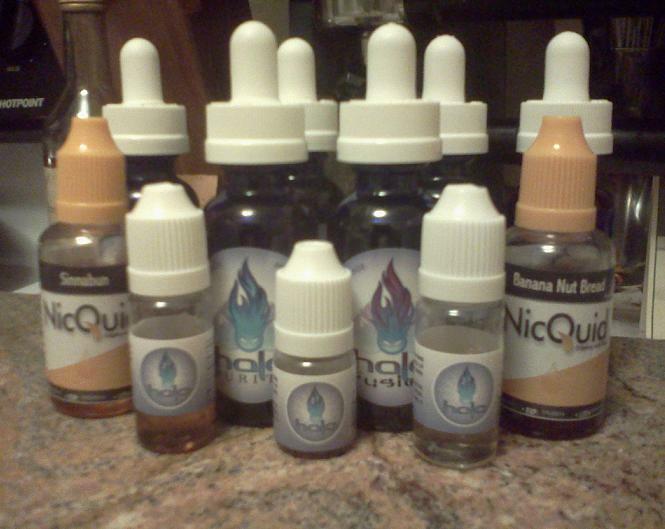 So last week I ordered some very tasty e-liquid from NicQuid. I got two flavors from them - Banana Nut Bread and Sinnabun (both are delicious, btw). 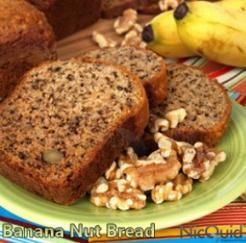 NicQuid Banana Nut Bread - Tastes just like warm, homemade banana nut bread straight out of the oven. This e-liquid flavor is delicious! First off, I should let you know that I bought this e-liquid for myself. It was not given to me for free by NicQuid for a review, nor did they ask me to do one. I simply wanted to try it out since it sounded tasty. Anyway, I've been vaping NicQuid's Banana Nut Bread e-liquid for the last week, and honestly, I couldn't be more pleased with it. To put it simply, it tastes EXACTLY like banana nut bread. I mean, it's spot on! In fact, it tastes so much like the real thing that it actually inspired me to bake some "real" banana bread (using our old family recipe) so I could do a true side-by-side taste comparison. After the banana bread was finally out of the oven and cooled down enough to be cut, I ate a slice. OK, so I actually ate four or five slices. :P Then I picked up my trusty Halo Triton and started vaping NicQuid's BNB flavor. When I ordered this e-liquid, I got the 30ml bottle size, which is the largest size they currently offer. Anyway, I'm glad that I did, since I totally love this flavor. It's so tasty that I've been vaping it every day, all day long. It's especially enjoyable with your morning coffee. The two flavors really play around and compliment each other quite well. It's a perfect flavor combination. Too sweet? No. Even though it tastes exactly like banana bread, it's not really all that sweet. In fact, the sweetness level is quite low, which is why it makes for a great all day vape. Bottom line, if you like banana nut bread, then you'll definitely want to give this one a try. Like other quality e-liquid vendors, NicQuid offers several nicotine strengths with all their flavors, ranging from 24mg to 0mg (no nicotine). The strength I chose for my BNB e-liquid was the 18mg option, and the bottle size I ordered was the largest (30ml). Note: In case you're new to vaping, the "0mg" option is also known as "no nicotine" or "zero nicotine". So if you don't want any nic at all, that's the one you'll want to choose. • Flavor - Crazy delicious. If you like banana nut bread, you'll love this flavor. • Vapor production - Awesome. Produces A LOT of vapor. • Throat hit - Perfect. Great throat hit and no harshness. • All day vape? - Yes. Not too sweet for an all day vape. 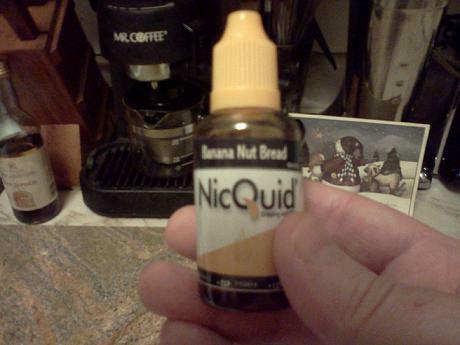 NicQuid's Banana Nut Bread flavor is really delicious. It's easily one of my all-time favorite vapes thus far, right up there with a few of Halo's flavors (Cafe Mocha, Voodoo and SubZero). So if you're looking for a delicious vape, head on over to NicQuid's website to see what they have to offer. • Halo Cigs Voodoo E-Liquid Review - Yummy? • Halo Triton Review - Awesome or Not? Looking for a really awesome menthol e-liquid flavor? 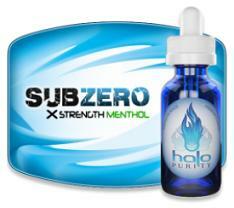 Then be sure to check out the SubZero menthol e-liquid from Halo Cigs. As a former menthol cigarette smoker, SubZero is by far my favorite menthol-flavored vape. It's extremely smooth and refreshing, and produces a tremendous amount of vapor. Throat hit is really great as well. As for flavor, SubZero is perfect. It's amazingly fresh and minty, just like a good menthol flavor should be. "Holy cow this menthol is the real deal. It's hard to emulate a real menthol cigarette, but this one is right up there. It's an arctic ice cold hit, followed by an enormous cloud of vapor..."
"You won't find a better menthol. Sub Zero delivers everything it advertises, you won't be disappointed." "I was never a Menthol analog smoker but on a whim I purchased a 7 ml bottle of Sub Zero and fell in love with it. It is now one of my go to Vapes during the day and just love the cool refreshing taste it has. It produced a nice throat hit to boot with some nice clouds of vapor. Using with a Triton 900 and tank!" Sound good? 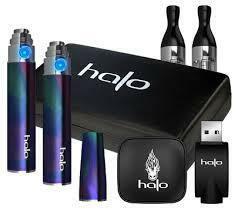 Then head on over to Halo Cigs to check it out. Oh yeah, and don't forget to check out their other flavors, which are also pretty awesome. 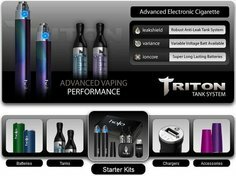 OK, so now that we've been vaping with the Halo Triton for several months, I think it's about time that we write a follow-up post and let you know our full opinion of it. First things first...the Halo Triton IS awesome. In other words, we couldn't be any happier with it. In fact, the Halo Triton has far exceeded any (and all) expectations. It's 100% reliable, lasts a really long, long time, and produces a crap load of vapor and flavor. And it does it all...oh, so beautifully! 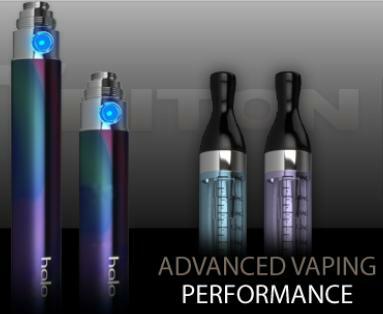 You see, the Halo Triton is the only e-cig that has turned so many heads...so much of the time. Whether we're just stopping in at the local gas station to fill up, or partying like maniacs at a club, the Halo Triton has constantly and consistently led people to ask things like, "Wow, what is that?" Or, "Damn, where can I get one of those to vape on?" So yeah, the Halo Triton is just that damn cool. And without a doubt, it freakin' rocks! 1. Awesome battery length - the batteries last a long, long time! 2. Awesome vapor production - the Triton produces A LOT of vapor! 3. Awesome throat hit - the Triton produces some really awesome throat hit! 4. Extremely attractive - the Halo Triton is absolutely gorgeous. 5. Fast and easy charging - the Halo Triton charges really, really fast! Yeah, so that's our overall take on the Halo Triton (after several months of constant vaping use, both day in and day out). Note: Curious? Here's our original Halo Triton starter kit review. Bottom line, we've been so dang impressed by the Triton that we've actually made it our exclusive vaping device. Here's a quick heads up for all of you awesome vapers out there. 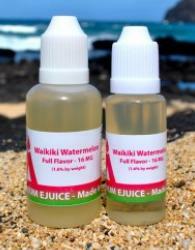 Volcanoecigs is currently offering their Pele's Papaya e-liquid flavor at 30% off! Note: There are only two days left to take advantage of the Volcanoecigs sale, so don't wait. Volcanoecigs describes their Pele's Papaya flavor as "A spot on recreation of your favorite breakfast fruit." Like all of their Premium USA made e-liquid, Pele's Papaya is available in both 15ml and 30ml bottle sizes, and the following nicotine level options: Extra High (24 mg), High (18 mg), Full Flavored (16 mg) and Zero nicotine (0 mg). Yup, you read that right. 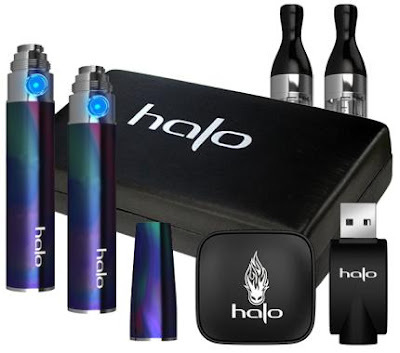 Free Halo Cigs e-liquid! Damn, it doesn't get much better than this! 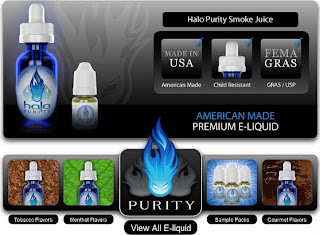 And just in case you're not a long-time vaper (or familiar with Halo Cigs), well, and to put it quite bluntly, halo has the best e-liquid out there. Without question, their flavors are absolutely amazing. They taste wonderful, have great throat hit, and produce a lot of vapor. Our favorite, overall. Anyway, Halo Cigs is currently running a special and offering a FREE 10ml bottle of their brand new "Southern Classic" e-liquid flavor with all orders over $20. Awesome. See, a short while back, Halo Cigs ran a similar special in order to introduce their new Voodoo e-liquid flavor. So I ordered some Halo Triton Tanks (clearomizers) and a 30ml bottle of their Shamrock e-liquid flavor (delicious! ), and got a free bottle of their Voodoo e-liquid. 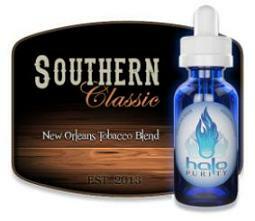 Halo's Southern Classic e-liquid flavor is built on light tobacco base and is adorned with hints of honey, citrus and cloves, and then topped off with a smooth Madagascar vanilla. According to Halo, "This unique blend of these premium ingredients offers a unique, indistinguishable flavor that is lightly sweet and very smooth." The Volt Spinner battery by Smokeless Image is a variable voltage e-cigarette battery that allows you to adjust the voltage output by spinning the knurled dial at the bottom of the battery. The Volt Spinner allows you to adjust your vaping voltage from 3.3v to 4.8 v, and comes in 650 mAh, 900 mAh and 1300 mAh battery sizes. Important note: The Volt Spinner battery is FULLY compatible with ALL of the current Smokeless Image e-liquid delivery systems (the cartomizer, the CE3 Cartomizer, the Nano Clearomizer, the X2 Clearomizer and the T3 Clearomizer). In other words, don't worry about compatibility if you already have other Smokeless Image cartomizers or clearomizers. It's compatible with all of them. The Volt Spinner is 808 threaded, therefore, it's also fully compatible with other 808 threaded devices. It's not, however, compatible with 510 threading (unless you get an adapter). I've noticed that several "other" e-cigarette review sites are "claiming" it to be fully 510 compatible, but this is not true! You'll need an 808 to 510 adapter to make it work. It's a very simple fix, but important to know beforehand. Unfortunately, the other review sites don't seem to care enough to let you know. The Volt Spinner variable voltage battery is available in both Manual and Auto battery types (note that the auto Spinners are slightly larger). It's also available in three different battery sizes, as seen below. Here's a good Volt Spinner review video by the much-loved and respected Steeljan. She's a retired engineer, and is well-known in the vaping community for her informative and unbiased e-cig reviews on YouTube. So if you're interested in a good, quality variable voltage battery, check the Volt Spinner by Smokeless Image. Looking for an awesome new vape? One that's chocolaty and downright delicious? 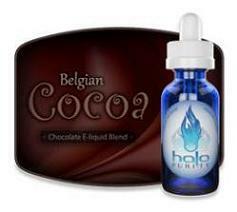 Then you'll definitely want to check out Halo's Belgian Cocoa e-liquid flavor blend. It's truly delicious, and without question, my favorite chocolate vape. The Halo Cigs Belgian Cocoa e-liquid flavor blend has dry cocoa undertones and a sweet chocolate top note. 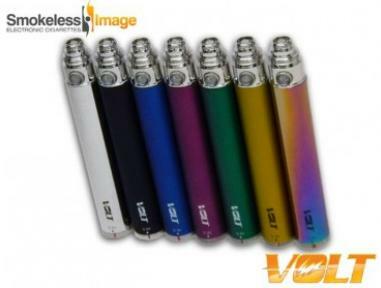 It has a robust flavor and is backed by a good throat hit and great vapor production. Personally, I absolutely love Halo's Belgian Cocoa e-liquid. It's perfectly balanced, and one of my all-time favorite vapes. It's also specifically engineered by Halo to be vaped all day long. In other words, it's not overly sweet, like so many other chocolate flavored e-liquids tend to be. "I was pleasantly surprised by this one. It reminds of me of the cocoa I had when I was a kid, made from actual cocoa not a sugar-laden pouch. The flavor is full and not too sweet, a definite addition to my rotation." "Great vapor and throat hit. This is the best chocolate e-liquid I have tried. And I have tried a lot. No need to try any others, I have found my chocolate fix. Great job Halo!!" "I decided to try this so I ordered a small bottle. I wish I had ordered the 30ml. Once again Halo has hit the nail on the head. This is the perfect treat for my chocolate cravings!" "This is by far the richest chocolate flavored e-juice I have found. Its got great smoke, and nice throat hit and the flavor screams dark chocolate. If you are a Godiva chocolate lover this is one e-juice you need to try. Vape this with a good glass of Shiraz in the evening after work and you have one excellent pairing." Halo Cigs Belgian Cocoa - Overall Conclusion? Love it! Really great chocolate flavor, great throat hit and great vapor production. After ordering and vaping many of Halo's e-liquids, I've come to expect nothing but absolute perfection from them. And their Belgian Cocoa e-liquid is no different. It's simply awesome. 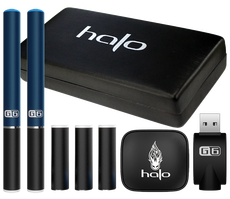 • Halo G6 Starter Kit Review - One of the best?